With leading technology and high quality components. Goodway Swiss Type machine provides the best solution for those work pieces smaller than 32mm. 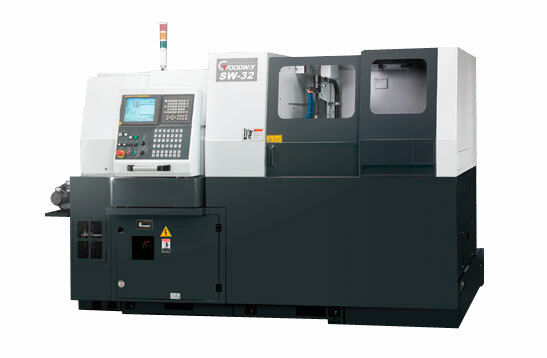 Additional, SD & SW series are not only with super rigid body, faster moving, and variety tooling selection but also available with sub-spindle, live tooling and bar-feeder to accomplish today and tomorrow's most demand. Optional A / C to control the electrical cabinet's temperature and humility which can extend the life of electrical components inside efficient. ( 945 IPM ) 24 m / min.